Does Your Business Need Trade Credit Insurance? 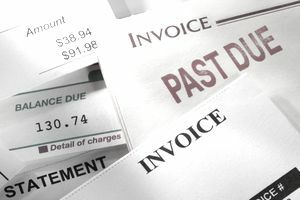 Any business that sells goods or services on credit faces a risk of bad debts. Customers may fail to pay their bills due to bankruptcy, insolvency or insufficient funds. A business can protect itself against the risk of uncollectible debts by purchasing trade credit insurance. Trade credit insurance should be considered by any business that extends credit to customers. This includes exporters and companies that sell products domestically. Either type of business can lose money if customers don't pay what they owe. Exporters face the added peril of unpaid debts caused by political risks like war and expropriation. Here are some of the reasons why businesses buy trade credit insurance. Better Control of Financial Risks. While most businesses evaluate the financial condition of potential customers before extending credit, these measures aren't foolproof. Customers may develop financial problems that weren't anticipated. Credit insurance allows a company to control these risks more effectively. Better Cash Flow. A business needs adequate cash flow to pay day-to-day expenses. By purchasing credit insurance, a business can ensure that it will have the cash it needs even if customers fail to fail their bills. Better Monitoring of Customers' Credit Worthiness. A trade credit insurer monitors the creditworthiness of the policyholder's customers throughout the policy term. The insurer's analysts have access to an extensive amount of data and can quickly evaluate the financial status of current or prospective customers. Competitive Advantage. By purchasing credit insurance, a business may be able to grow its business by offering customers more competitive financing options like higher credit limits or better payment terms. Better Borrowing Terms. Credit insurance can help a business obtain attractive financing terms from a lender. Trade credit policies may cover losses caused by several types of risks. These may include the buyer's insolvency, its protracted default, or its inability to pay due to political risks. Virtually all credit policies cover the risk of buyer insolvency. Policies may specify the types of events that qualify as an insolvency. Examples are a declaration of bankruptcy by a court and a court-ordered liquidation. Protracted default means the buyer's failure to pay the insured the debt owed by the due date including any extensions afforded by the seller. Political risks coverage is provided to exporters. It covers failure of the buyer to pay the insured by the due date due to political risks such as expropriation, confiscation, piracy, currency incontrovertibility, embargo, and other acts of a government or public authority. Businesses have several options when shopping for trade credit insurance. One is to buy coverage from an insurer that specializes in that coverage. Examples are Coface, Atradius, and Euler Hermes. Atradius and Euler Hermes provide quotes online while Coface provides quotes through independent agents. Businesses can also buy trade credit insurance from a multi-line insurance company like AIG or Chubb. A third source of coverage is the Export-Import (EXIM) Bank, an independent agency of the U.S. government. The EXIM Bank provides trade credit insurance in order to facilitate the export of U.S. goods and services. Trade credit policies indemnify the insured business for credit losses due to the non-payment of debt. Depending on the policy, coverage may be triggered by sales made during the policy period or by a loss that occurs during the policy term. There is no standard form so provisions can vary widely from one policy to another. A policy may cover a single debtor or all of the insured's debtors. Policies give the insurer the right to recover its losses through subrogation against the buyer. This means that the insurer obtains the right to seek recovery from the buyer once it has compensated the insured for the loss. Trade credit premiums are typically based on a percentage of the insured's revenue (also called turnover). The percentage depends on the insured's credit terms, its loss history, the creditworthiness of its customers, and other factors. If a company's annual revenue is $1 million and the percentage is 1 percent, the premium will be $1,000. Minimum premium charges may apply. The premium charged at policy inception is based on an estimate of annual revenue. When the policy expires, the insured must report the actual revenue to the insurer. If the actual revenue differs from the estimate, the insurer may adjust the premium up or down. Trade credit insurance does not pay losses in full. Rather, it covers a percentage (such as 80 percent) of each unpaid debt. The unpaid loss represents self-insured retention (or coinsurance) that is paid by the insured. Credit policies typically include a waiting period, which is the amount of time that must elapse from the date of loss before a claim becomes payable. The waiting period ensures that the seller has made sufficient efforts to collect the payments due before it receives a claim payment. Trade credit insurers establish credit limits and payment terms for the insured's buyers. The insured seller can extend credit up to the specified limit. If a buyer is unable to pay for goods purchased, the insurer will not pay more than the insured percentage of the buyer's credit limit. The insurer's maximum liability (or maximum limit) is the most the insurer will pay for all losses during the policy period.